When we heard that Klinsmann would remain as coach of the US Men's National Soccer team for another four years and would also become a technical director, many of us questioned this decision's wisdom. Two World Cup cycles with the same manager almost never pans out. This is true for many teams around the world, but even more so for Team USA. While the first cycles for coaches like Bruce Arena and Bob Bradley were hugely successful internationally, their style became stale and the rest of the world caught up with their strategies. Bruce Arena may have gotten the US to the quarterfinals in 2002, but 2006 saw them score one goal and manage a unlikely tie against eventual World Cup winners Italy. Lacking Chris Armas, a clear attacking role, an aging Claudio Reyna and an under-used Landon Donovan resulted in a forgettable tournament. The same goes for Bob Bradley. After a stellar Confederations Cup in 2009 and a great group phase in South Africa 2010, his miss-use of Ricardo Clark and reliance on Johnathan Bornstein gave Ghana the upper hand. And that was really the end for the coach. A year later the lack of depth in his team during the Concacaf Gold Cup contributed to a clear defeat to Mexico in the final. US Soccer made the right decision in replacing Brdaley with Klinsmann in 2011. The former German star's tactics and depth building were slow to kick in but eventually paid dividends in 2013 with important victories abroad, a Gold Cup win with a largely-experimental squad and record-breaking points and number one qualification in the Hexagonal tournament of World Cup qualifying. But USA is in certain peril with their World Cup draw. Germany, Portugal and Ghana are all extremely talented and with a greater number of technically superior players like Mesut Ozil, Cristiano Ronaldo and Kevin Prince Boateng. It will take a little luck and playing the games of their lives to get through this group. And what if there's another three-and-out in Brazil 2014? 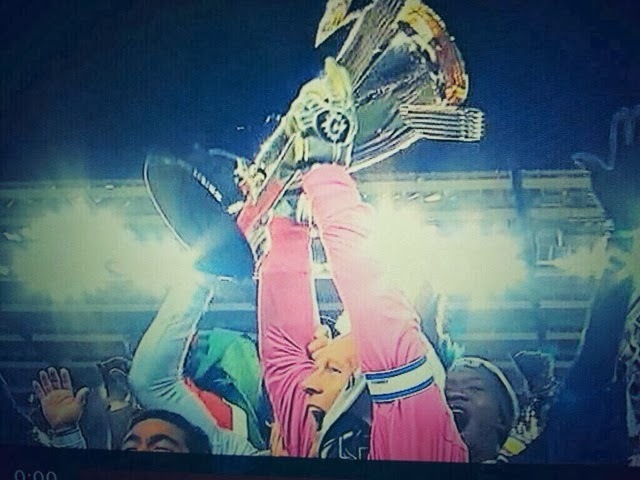 And a loss at the Gold Cup and no Confederations Cup again? Might we have jumped the gun already? Complacency? 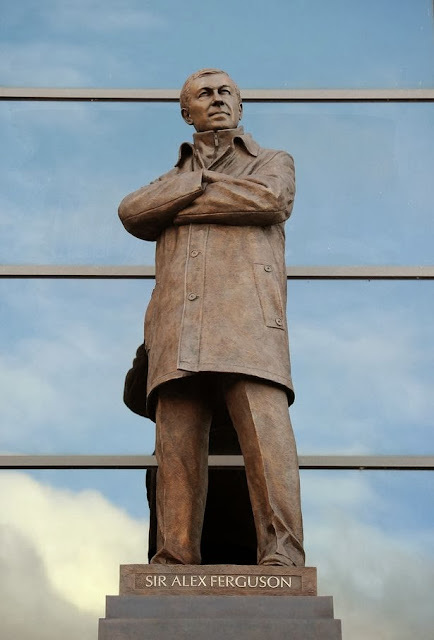 Lack of inventiveness for US Soccer directors? 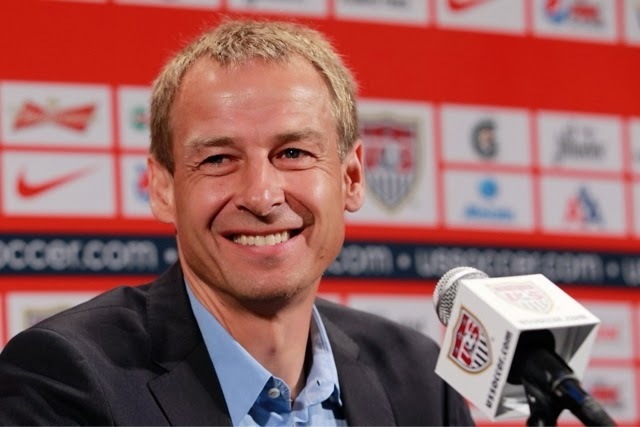 There might be some positives, of course, with Klinsmann as a technical director. Player development from a young age is key for future tournaments. The involvement of MLS is another step forward. Finally, exploiting the German connection and adding Bundesliga players to the pool remains advantageous now and in the future. As fans, we hope the best for him and that the decision to keep him another four years turns out to be a good one. Examples are available when it comes to second cycle coaches for other countries: Hernan Gomez and Luis Suarez for Ecuador, Sven Goran Erikson for England and Raymond Domenech for France. Need we say more? The sorting is done. The magic is about to begin. And now each team knows its fate. The official World Cup draw was held today in Brazil ahead of next year's tournament and it wasn't favorable for the Americans. Their group G includes Ghana, Germany and Portugal. Drama: First game is versus Ghana, the perennial enemy of the United States in official FIFA competitions, at least for the last 8 years. In 2006 their 2-1, after Dempsey equalized, sent the US packing with just 1 point and only 1 goal scored. In 2010 Ghana had Asamoah Gyan and Kevin Prince Boateng to dismantle Bob Brdaley's weak defense and a hole down the middle after Ricardo Clark's early yellow. It doesn't end there. Bob Bradley managed to lose to them while coaching Egypt in the decisive play-in match in Accra by 6-1. In Cairo the 2-1 was not enough. Some glamor: Second game is Portugal, with CR7, a.k.a. Cristiano Ronaldo will be eager to avenge the 3-2 shock-loss to the United States in 2002, which made for a magical run to the quarterfinals in Korea/Japan. Now, for the media in the country and the casual soccer fans, this is a great game. Revenge: The final match is Germany, the perennial favorites. They are without trophy since 1990 and currently boast incredible talent: Mesut Ozil, Mario Gomez, Thomas Muller, Sami Khedira, Jerome Boateng come to mind. Germany also ended the magical run of 2002 thanks to a goal by Michael Ballack and a non-call that should have been a penalty in favor of the Americans. So what are the tactics? Africa, Africa, Africa. Klinsmann will need to prepare for the African attack and he might want to play a couple of official matches versus Nigeria or Cameroon or Ivory Coast. Klinsmann is never one to shy away from taking chances in unusual friendlies and this game will be the key to this group. 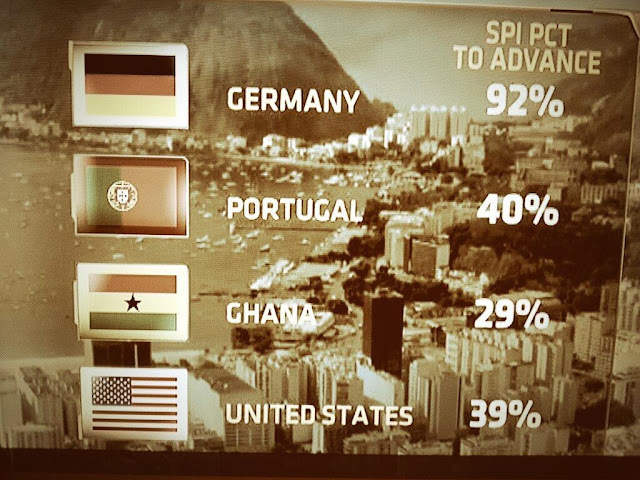 If US defeats Ghana then points versus Germany and Portugal wouldn't be unheard of. Second is perhaps Portugal. The Portuguese haven't been the steamrollers they once were when Figo was still playing. They are, perhaps, a one-man team with CR7 doing most of the work. If he's out then the team is vulnerable. Hence the struggles in qualifying with a tie versus Israel and a disappointing second-place finish. So how does Klinsmann feel about playing Germany last in this group of death? Excited, he says. Terrifying for the rest of us fans. Does the United States go into this match with an absolute need for a win? Will Germany need a win just as much? Can Beasley or Brad Evans stop Ozil and Muller and Julian Draxler? Nate Silver of the ESPN Soccer Power Index put it all in statistical terms. Germany almost sure to get out of the group (92% chance), but USA (39%) and Portugal (40%) dead even and Ghana (29%) lagging behind. Us Yanks hope this holds true. Alexi Lalas had it right when he said that the soccer Gods give and also take away. The 2010 draw was a gift with Slovenia and Algeria as the lower-seeded teams, with only England as the difficult squad. This time the US has a chance to do something special simply by getting out of this group of death. Ever since 1990, every other World Cup has been a dud: 1990, 1998, 2006. The magic happened in 1994, 2002 and 2010. Coincidence or crazy superstition? Can 2014 break this cycle? 2013 was a great year for the national team: wins in the Hexagonal and the Gold Cup and great friendlies versus Germany, Russia and Bosnia. Added to this are new names like Diskerud, Bedoya, Corona and Johannsson. Klinsmann has a chance to prove why this American crew is special and only he can make us believe.